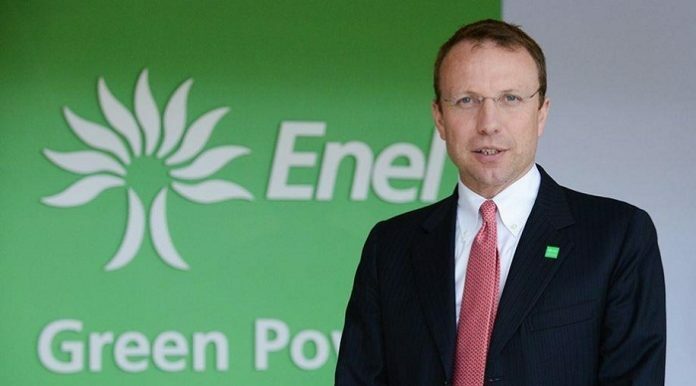 Italy’s Enel Green Power (EGP) said it launched a green bond totalling $1.2 billion to fund its green projects, notably the 850MW wind energy projects in Morocco, local media said. The Italian energy giant said in a statement that the green bond would help fund renewable energy projects covering the development, construction and re-powering of renewable power plants and the development of transmission and distribution networks. Enel Green Power (EGP) won the bid to develop five wind energy projects in Morocco, totalling 850MW, in consortium with the Moroccan energy company Nareva Holding and the German wind turbine manufacturer Siemens Wind Power. The Five projects are located in Midelt (150 MW), Tangier (100 MW), Jbel Lahdid (200 MW), Tiskrad (300 MW) and Boujdour (100 MW). Under this 850MW projects, Enel and Nareva will establish and own five special purpose vehicles (SPV) holding the projects, while Siemens Wind Power will provide the wind turbines, with several components manufactured locally. By 2030, Morocco is hoping to source 52% of its energy from renewables, a third of that will be solar power; the other two thirds will come from wind and hydropower.